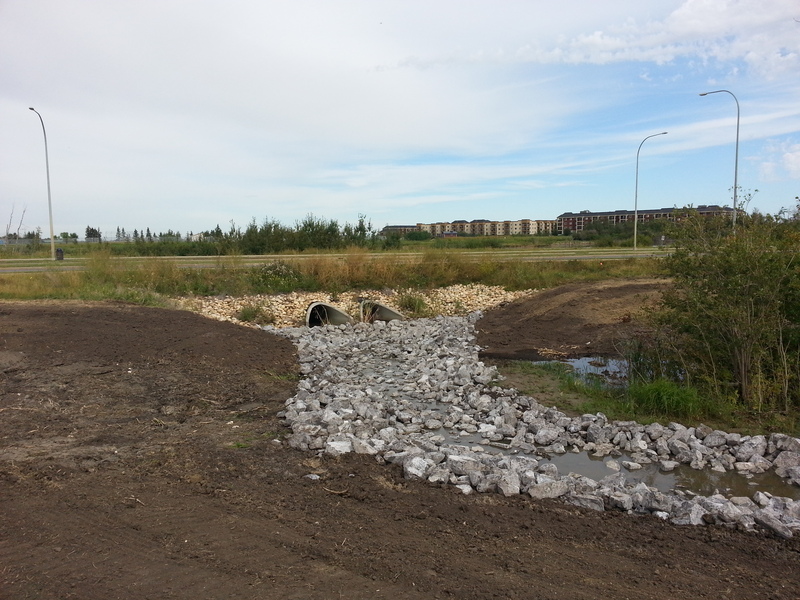 Centennial Wetland is a major storm water management facility located within the northwest Sherwood Park area. It occupies over 8 hectares of land and is one of the first facilities actively designed to enhance storm water discharge quality from urban drainage. Sameng Inc. has been the prime engineering consultant responsible for several phases of the project, starting in 2004. Major engineering components of this project have included: definition of facility operational philosophy, constructed wetland design, uplands design, dyke facilities, control structures, storm sewers, floatables and grit removal devices, emergency spillways, real-time control of lake outlets and infrastructure tie-in and coordination with the Anthony Henday ring road project. The facility consists of two cells: north and south. In order to preserve the natural features of the area, the design normal water levels were kept close to the natural fluctuations observed in this area. Innovative control structures design and operational procedure allow the two cells to operate in series and at different water levels while maintaining effective flow attenuation for the entire facility. The addition of RTC in the current phase will optimize this operation. A number of dyke facilities were designed to contain the high water level of the facility providing 100-year flood protection of the surrounding developments. The dykes are constructed of soils borne from local excavation and are aesthetically treated to fit within the proposed developments. Both the north and south cells are actively designed as wetland treatment facilities to improve the quality of the discharge waters. 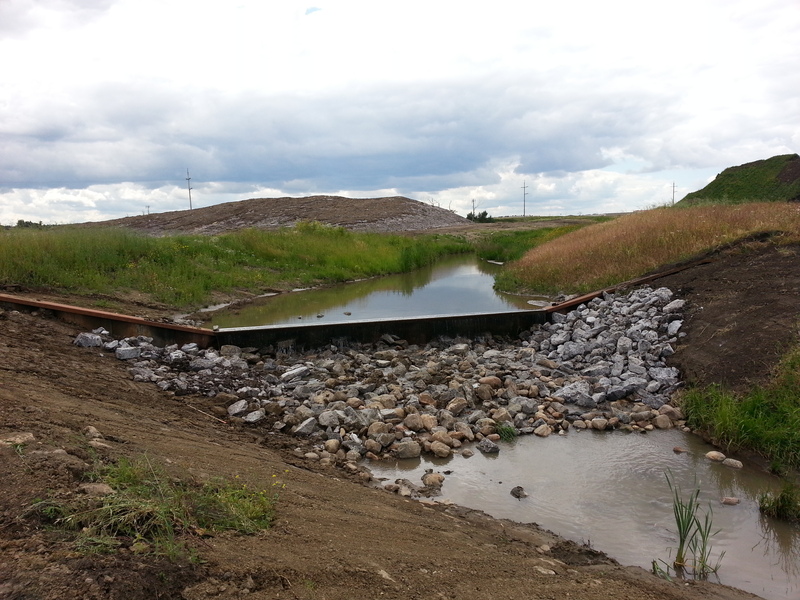 The outlet structures were designed to allow active vegetation control by allowing seasonal water level operations. The objective of operating the facility is to achieve a balance of aesthetics, water quality and flood protection.